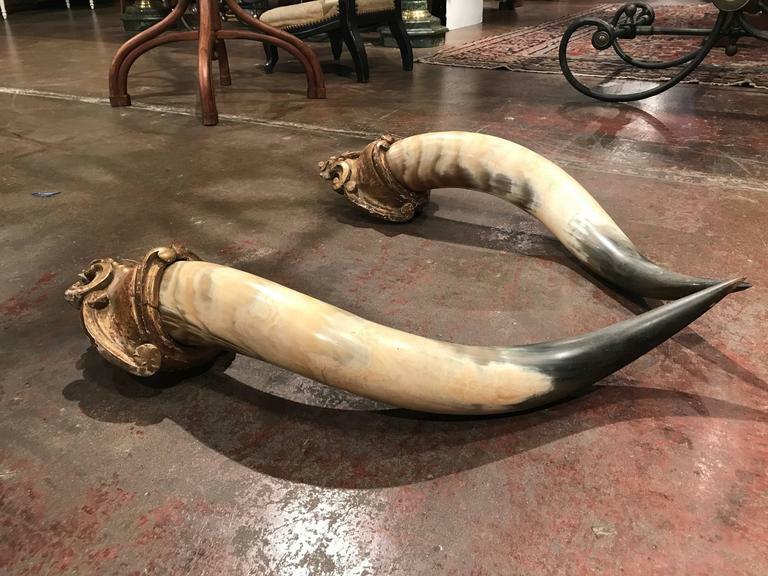 Put a rustic spin on any room in your ranch house with this large pair of antique mounted cornucopia horns. 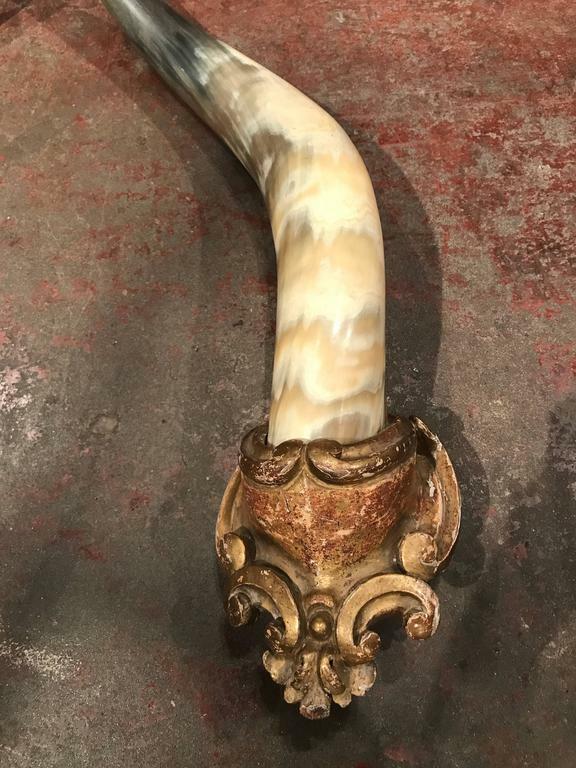 Each of the black and white, curling horns is set on a hand carved mount embellished by the original gold leafing. 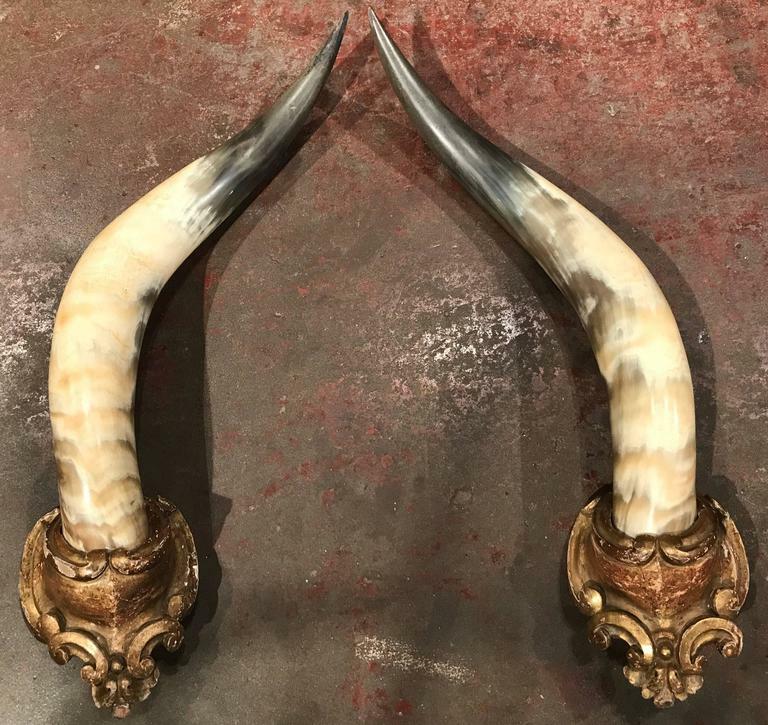 Crafted in France circa 1860, the antlers could be placed above a mantel or on either side of a hanging wall mirror. 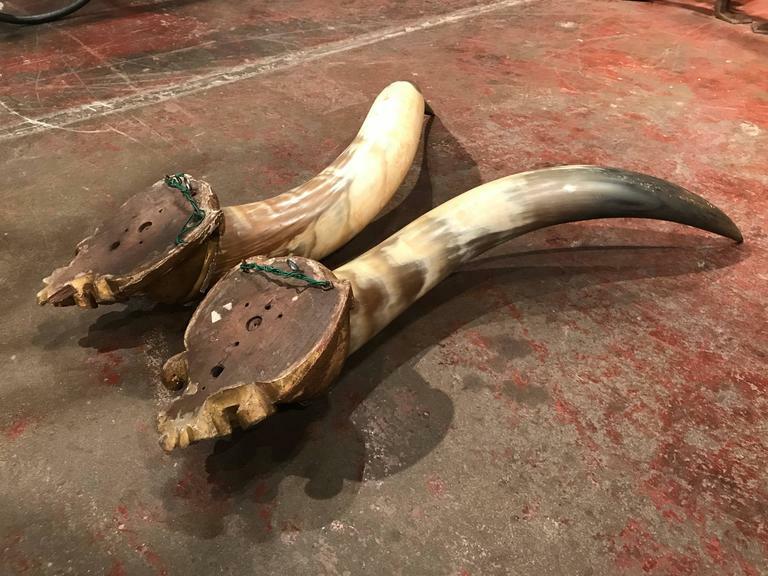 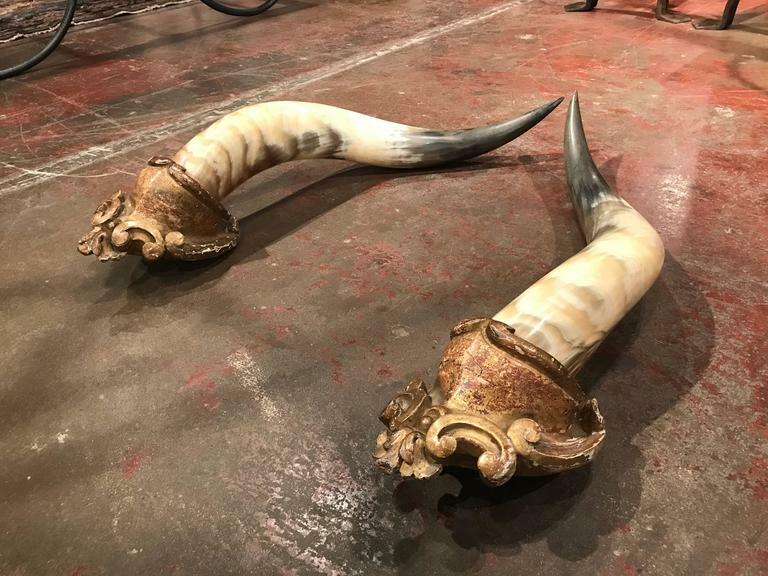 The horns are in excellent condition and the mounts have a beautiful rubbed patinated gilt finish. 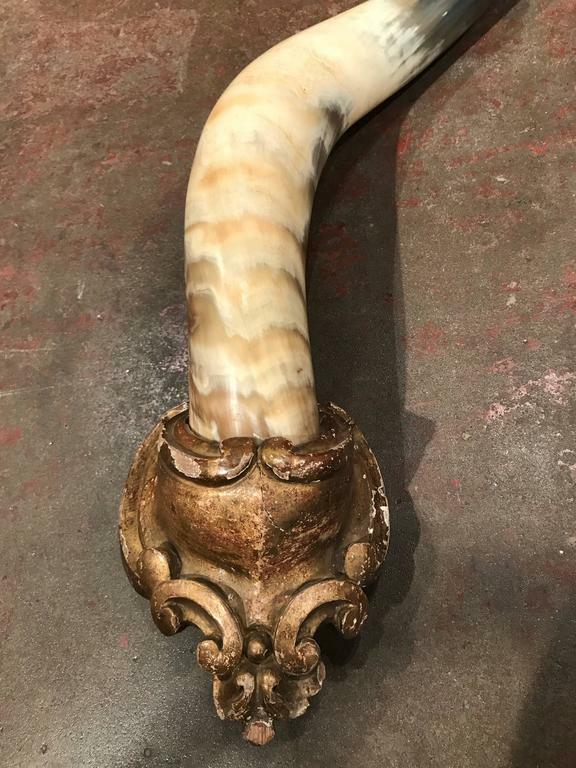 Measures: 30.5" H.
Pair of 19th century French bronze decor dolphin plaques mounted on custom acrylic clear bases. 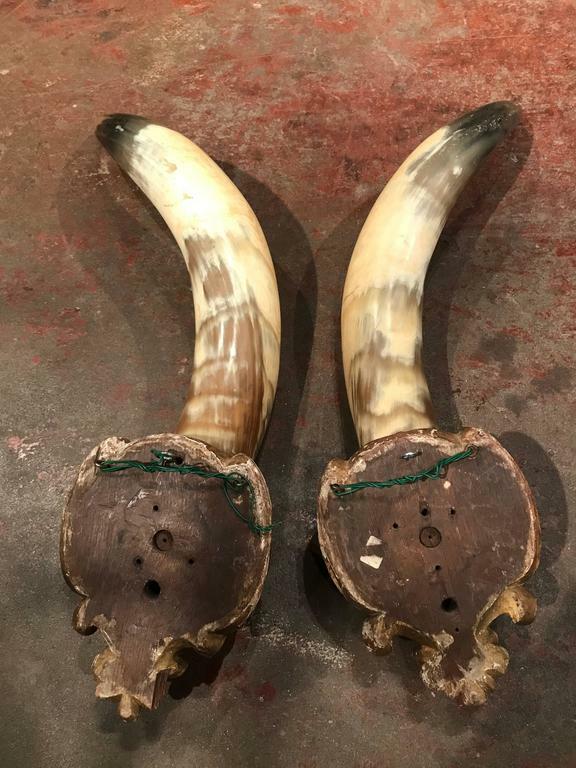 Mounted red stag antlers with a plaque reading "Arundal Park" on shield shaped back.